Welcome to the FAQ/Problems section here you will find information on 'game requirements' and have the opportunity to report a bug, you can also see some Frequently Asked Questions. For some of the more demanding 3D games, you may have to install the latest Windows DirectX software, click here to download it. Q - Why does the colours at the top change? A - The colours at the top change everyday to keep the website looking fresh. Q - When I load a Slime Game a Red Cross apears in the top left hand conner of the game and it does not load? A - Your computer does not have Java installed or enabled once this has been done the game will work. 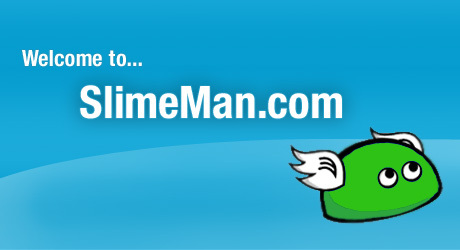 Q - I want to Unsubscribe from the SlimeMan.com email how do I do it?